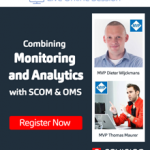 Two of my good MVP buddies Dieter Wijckmans (@DieterWijckmans) and Thomas Maurer (@ThomasMaurer) will get together and deliver an online webinar sponsored by Savision (@Savision) . 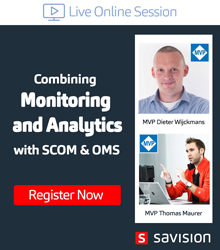 The topic is: Combining Monitoring & Analytics with SCOM and OMS. It is scheduled on Thursday 22nd of June 4PM CEST | 10AM EDT | 9AM CDT. 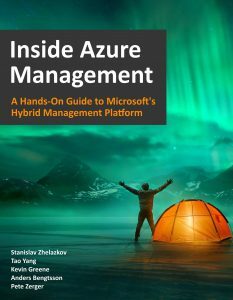 If you are interested in SCOM and OMS, I strongly recommend you to register and attend.